The Olympus PEN E-P1 has more of a retro look than, but don't let this fool you. The Olympus PEN E-P1 has 12 mega pixels, changeable lens, image stabilisation, dust reduction, while taking stunning images that will make your particulars jump off the web page! The camera doesn't have an inbuilt flash but many reviews state that it is 'able to shoot in low light' and it can also be slow when starting up. Available in silver in white, the PEN E-P1 is available from around £649.95. Estate agent rating: 4 Estate agents out of 5! 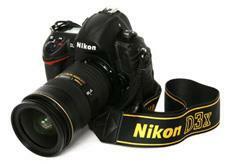 This camera has excellent image quality and the colours are rich and vibrant. 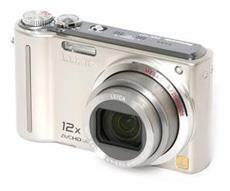 The camera itself is well designed and packed full of features whilst having a compact size. This camera is in the mid-budget range whilst also having a HD camcorder that takes 30 frames per second. Estate agent rating: 3 estate agents out of 5! The design of the Samsung WB500 can be said to be very similar to the Panasonic. The specs are also virtually the same with 10 mega pixels, 10x optical zoom, 24mm wide angle lens, 2.7 inch screen and a weight of 219g. 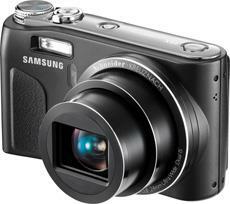 Prices start at £169.99, visit the Samsung website for the full range of camera capabilities and other camera ranges. So far we have been catering for the semi-interested agent, whereas this camera is for an estate agent that serious about taking high quality images. It will provide you with more high res photos than you can shake a stick at. Perfect for estate agents who have a huge budget and want pictures that stand out. It has, 24 mega pixels, 3 inch screen, 1220g weight (not including the attached lens) so its not for those that suffer from backache. 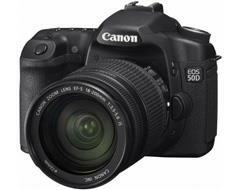 Canon EOS 5OD - Gadget of the year by T3! If £4,754 is a little out of your price range, but you want to invest in a camera that will give your properties the high resolution photos that they deserve, the Canon EOS 5OD will be the right camera for you! It has won T3's Gadget of the year award from around £800. The camera has a massive 15 mega pixels with a 3 inch LCD monitor, a 'live view mode', Face detection, 15 different camera settings, 25 different languages and has a weight of 730g! This camera will show customers that your property pictures mean business without having to break the bank. A clear choice for estate agents! Estate agent rating: 5 Estate agents out of 5!